New England is one of the United States’ top leaf-peeping destinations. Every autumn, nature puts on an unforgettable show here as billions of leaves change color from summer’s bright greens to fall’s palette of vibrant golds, oranges, and reds. Before you head for the forest, here’s what you need to know about foliage season in New England. New England’s fall foliage season typically lasts from late September to late October, with the northernmost states of Maine, Vermont, and New Hampshire peaking before the southern states of Connecticut, Massachusetts, and Rhode Island. While temperature and weather conditions influence the intensity and staying power of the foliage, light is the main catalyst for change—meaning the peak color season happens at roughly the same every year. New England has lots of leaf-peeping hot spots, with some of the most popular being Maine’s Acadia National Park, Stowe in Vermont, White Mountain National Forest in New Hampshire, Cape Cod in Massachusetts, and Boston—both in the city proper at Boston Esplanade and the Arnold Arboretum, as well as out-of-town destinations such as the Berkshires and Willard Brook State Forest. 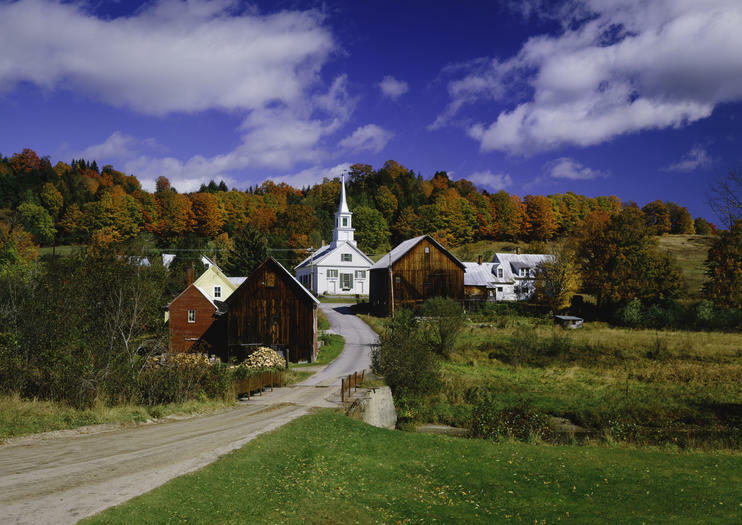 During the season, fall foliage tours depart from Boston in Massachusetts, Manchester and Nashua in New Hampshire, and New York City and the Hudson River Valley. You can do a day trip by bike, bus, or minivan, while helicopter tours offer a whole new perspective on the fall landscape. Multi-day tours often travel throughout New England, following the fall colors as they roll out across Maine, New Hampshire, Vermont, Massachusetts, and Rhode Island. Experience the brilliant colors of fall in the Hudson Valley on a fall foliage helicopter tour. Beginning at the Westchester County Airport in White Plains, choose from a three- or six-passenger helicopter, then listen as the pilot narrates the journey over landmarks like Tarrytown Castle and the Tappan Zee Bridge. Select from a 30- or 45-minute flight, the latter featuring views of the U.S. Military Academy at West Point, Bear Mountain Ski Resort and more. An additional airport fee is due at the time of check-in.